Availability: This product is discontinued and no longer available for purchase. For alternatives browse our Badminton Rackets department. The Carlton 4 Player PowerBlade Championship Badminton Set is the perfect pick and carry badminton set, and is great for setting up a casual game with friends or family anywhere. In the garden or park, or just for skill practice sessions, this set provides a well rounded kit with everything you need to get playing quickly. 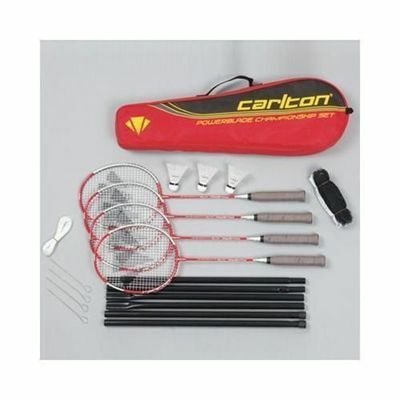 for submitting product review about Carlton PowerBlade Championship Badminton Set .